Recently, Conair recalled many of its Cuisinart products, explaining that the blades of Cuisinart products in the U.S. were susceptible to cracking apart and had caused injuries. At least 69 people have reported that blade pieces had appeared in their food, causing them to suffer cuts and broken teeth. 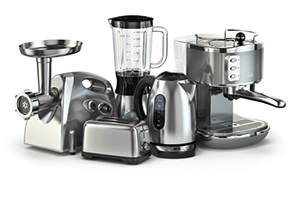 At Moll Law Group, our product liability lawyers provide legal representation to people injured in connection with defective Cuisinart products. You may be able to obtain compensation from the manufacturer or other entities with the assistance of a Cuisinart attorney. Cuisinart has been a trusted brand, but disturbingly, it seems that it was previously advised of this problem but did not issue recalls. Back in 2011, a Cuisinart blade had broken, with the pieces appearing in soup vegetables. The United States Consumer Product Safety Commission has asked Cuisinart to increase its efforts to provide redress to consumers. People whose Cuisinart blades have broken or injured them should notify the Commission. The company is offering consumers free replacement blades, but if you have been injured by a broken Cuisinart blade in your food, you may need to file a product liability lawsuit as well. Cuisinart food processors with model numbers that start with CFP-9, CFP-11, DFP-7, DFP-11, DFP-14, DLC-5, DLC-7, DLC-8, DLC-10, DLC-XP, DLC-2007, DLC-2009, DLC-2011, DLC-2014, DLC-3011, DLC-3014, EV-7, EV-10, EV-11, EV-14, KFP-7, and MP-14 should stop using their food processors and contact Cuisinart for a replacement blade. Sold between 1996 and 2015, these are models that possess stainless steel blades with four rivets that are attached to a plastic central hub that is beige. The 22 affected models have a riveted stainless steel blade that may crack over time, with small bits breaking into processed food and causing lacerations or broken teeth. If a product hurts you because of a defect, you may be able to recover damages in a product liability lawsuit brought by a Cuisinart lawyer. Products may be dangerously defective in three ways: design, manufacturing, or marketing. A blade that breaks into the food that it is processing most likely has a design or manufacturing defect. A design defect is an inherent flaw in the design that makes a product unreasonably dangerous. This flaw is generally found in all or most models of a product. A manufacturing defect is an error that occurs during the production process. Each state has its own rules related to design defects and whether you need to use a theory of strict liability or negligence to recover compensation. When strict liability is used, if you can show that the product was not reasonably fit for its intended purpose because it was designed in a defective way, the defect existed when the product left the defendant's control, the defect caused an injury, and you were a reasonably foreseeable user, you are likely to prevail. Additional elements may need to be established, depending on the state, and often expert testimony is needed. For example, in some states, you will probably need to provide evidence of a practical, feasible design that the manufacturer could have used instead of the design that it did use. It may be necessary to retain an expert to show that this alternative design would have prevented the harm and would not have substantially impaired the reasonably foreseeable uses of the product. Mouth lacerations and broken teeth are the last thing that you would expect from a food processor. Filing a lawsuit against the company responsible, the company that you trusted, may be the only way that you can pay for medical and dental expenses. You may also be able to recover other compensatory damages, such as lost wages, mental anguish, scarring, and pain and suffering. If you or a loved one was hurt because of a Cuisinart product affected by the recall, the Cuisinart lawyers at Moll Law Group can file a product liability lawsuit on your behalf. We represent injured people nationwide, including in Illinois, Michigan, Ohio, Pennsylvania, Texas, New York, Florida, and California. Billions of dollars have been recovered in lawsuits in which we have been involved. Call us at 312-462-1700 or contact us through our online form if you need a food contamination attorney or assistance with another product liability claim.